Feel Good Friday question: What do basketball and malaria have in common? 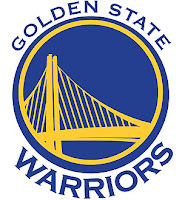 Feel Good Friday answer: Nets and Golden State Warriors' Stephen Curry. 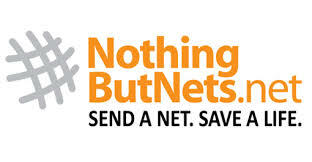 Washington DC-based Nothing But Nets is "a global grassroots campaign to raise awareness and funding to fight malaria, a leading cause of death among children in Africa." Statistics on their website state that a child dies from malaria every 60 seconds. Nothing But Nets began in 2006 with a challenge from Sports Illustrated columnist Rick Reilly. He encouraged his readers to send in $10 donations to fight malaria. As explained on the website, "Your $10 contribution goes towards the cost of purchasing a long-lasting, insecticide-treaded bed net, distributing it, and educating communities on its use." Nothing But Nets partners with UN agencies and other organizations to purchase and deliver the nets across Sub-Saharan Africa. They've delivered over 7 million bed nets to date! So you see how nets tie in to both basketball and malaria, but what about Stephen Curry? He's helped lead the Warriors to the Western Conference semifinals and is clearly connected to basketball, but malaria? As I learned from a San Jose Mercury News article earlier this month, Stephen Curry created his own Nothing But Nets campaign in the 2012-2013 season, the 3-for-3 challenge. He donates 3 bed nets for every 3-pointer he scores. At time this article was written on April 14th, that was 402 3-pointers (or 1,206 nets) this season alone. There you have it, basketball and malaria prevention, together at last.